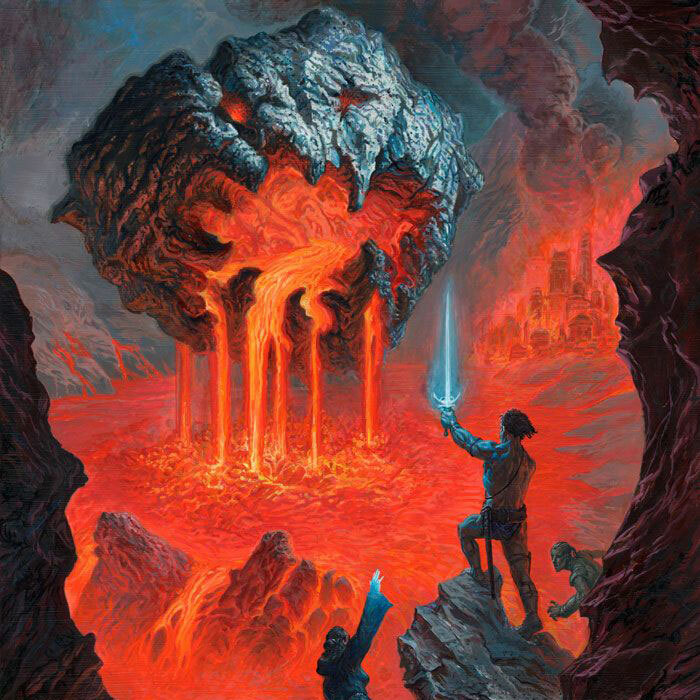 Better than a comic convention, more immersive than a video game, the IX art show in Pennsylvania is the ultimate trip for fantasy and sci-fi fans. It’s 6 p.m. on Thursday, Oct. 22, and I’m crammed into the back seat of Drew Tucker’s Mazda, sandwiched between our luggage and various shipping boxes that contain pieces of Drew’s signature artwork. Daniel Chang of VintageMagic.com is in the front seat, the sun is setting over the fall foliage of eastern Pennsylvania, and we have an hour drive to Allentown. 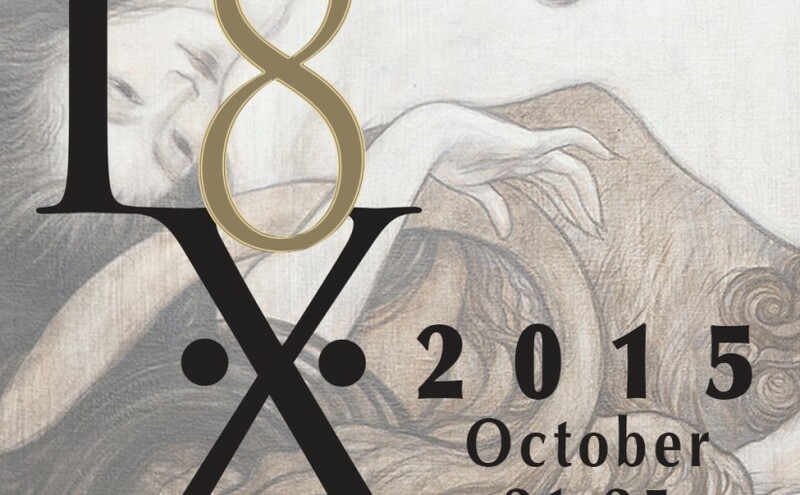 The three of us are en route to IX 8, the world’s largest juried gathering of traditional imaginative realist artists. 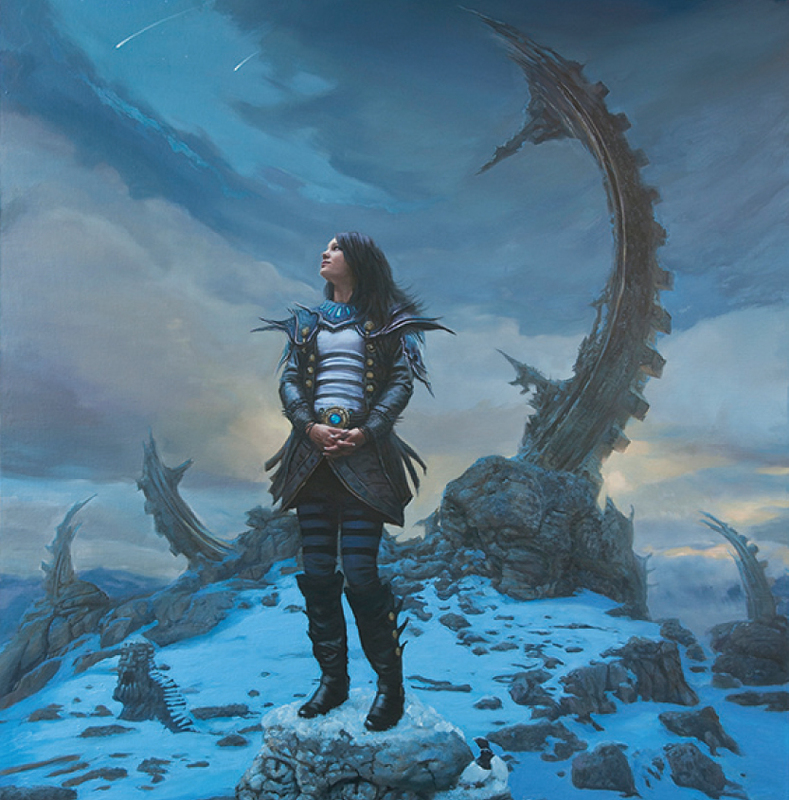 Held Oct. 21-25 at the Allentown Art Museum of the Lehigh Valley, the shows features dozens of painters and sculptors, a constellation of some of the most sought-after names in sci-fi and fantasy art. But first there’s the 60-minute drive ahead of us. 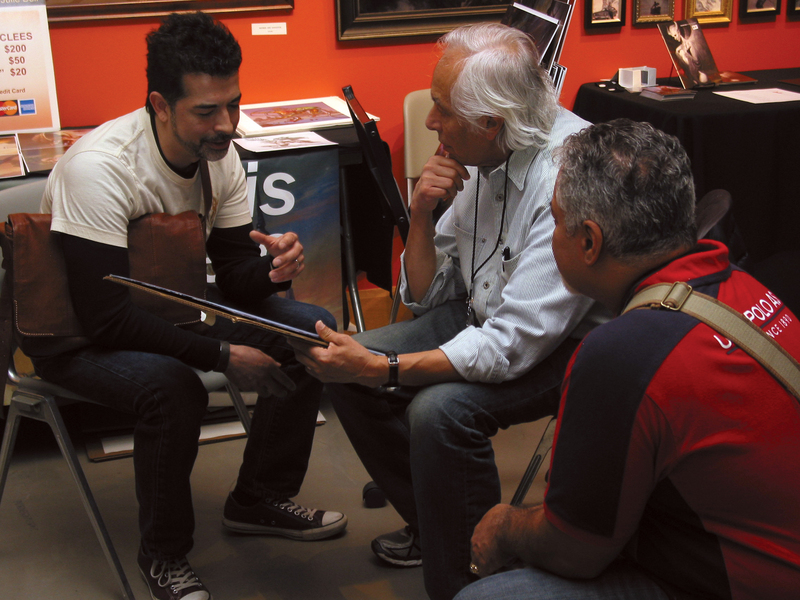 Over the next hour, Drew, Daniel and I talk about art, collecting, our families, our work and every topic in between. We make a quick stop at Boris Vallejo and Julie Bell’s house — yes, that Boris and that Julie — before settling down for the night. Little do I know that the next few days will prove to be some of the most creatively charged of my life. In person, Drew Tucker is a down-to-earth ball of energy. Tall and lanky with a buzz cut and gold rings in both ears, Drew’s arms and legs seem barely able to contain his excitement when discussing most topics, especially art. 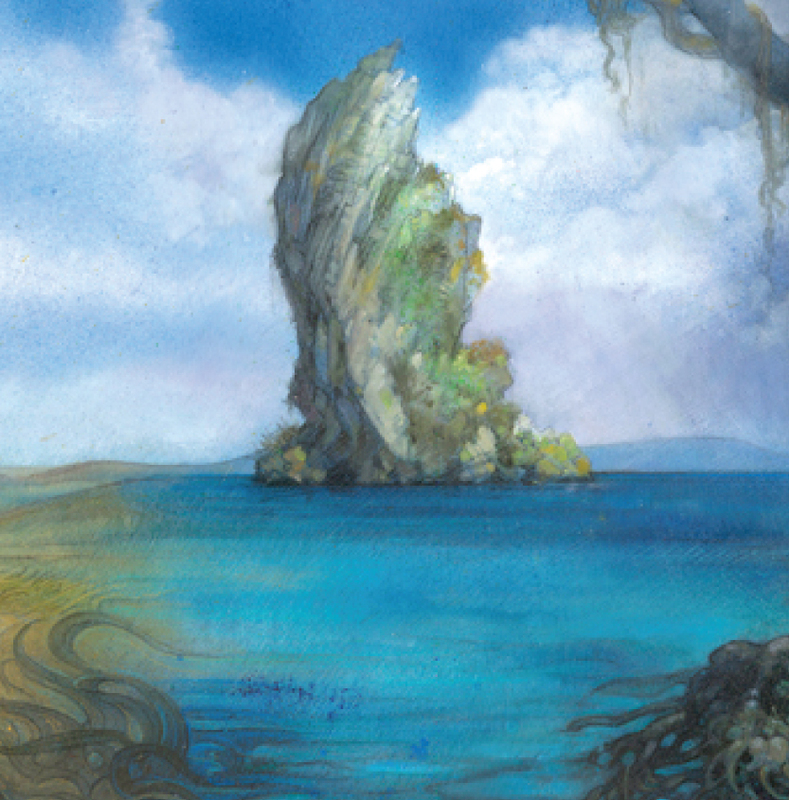 We quickly develop an easy rapport, and there are still times that I can’t get over the fact that I’m spending the weekend with an artist that created some of the images that had such a strong impact on my childhood imagination: Dandan, High Tide, Hurr Jackal and Murk Dwellers, all from the collectible card game Magic: The Gathering. As we enter the IX Main Showcase for the first time, Drew and I go our separate ways, but we often find each other again as the day goes on. “Look at the hair on that one!” Drew exclaims as we look through Omar Rayyan’s display wall, which is full of the old-world fantastical whimsy for which he’s known. I find myself given over to this same sense of wonder as I try — and fail — to take in all of the gorgeous work on display. That’s because IX is very much an artist’s art show, a gauntlet of color, texture and light where painters and sculptors bring the best of their best. 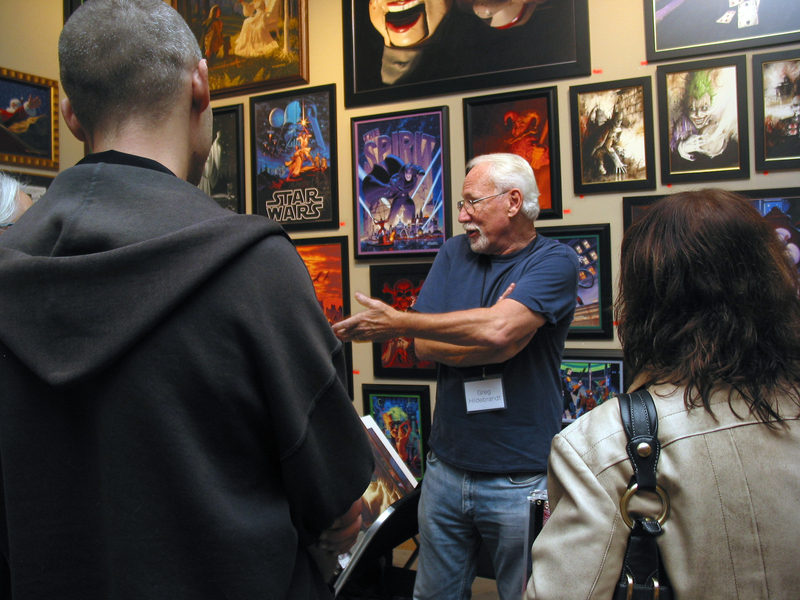 Greg Hildebrandt gestures to a small crowd at his booth during IX8 in Allentown, Pa. 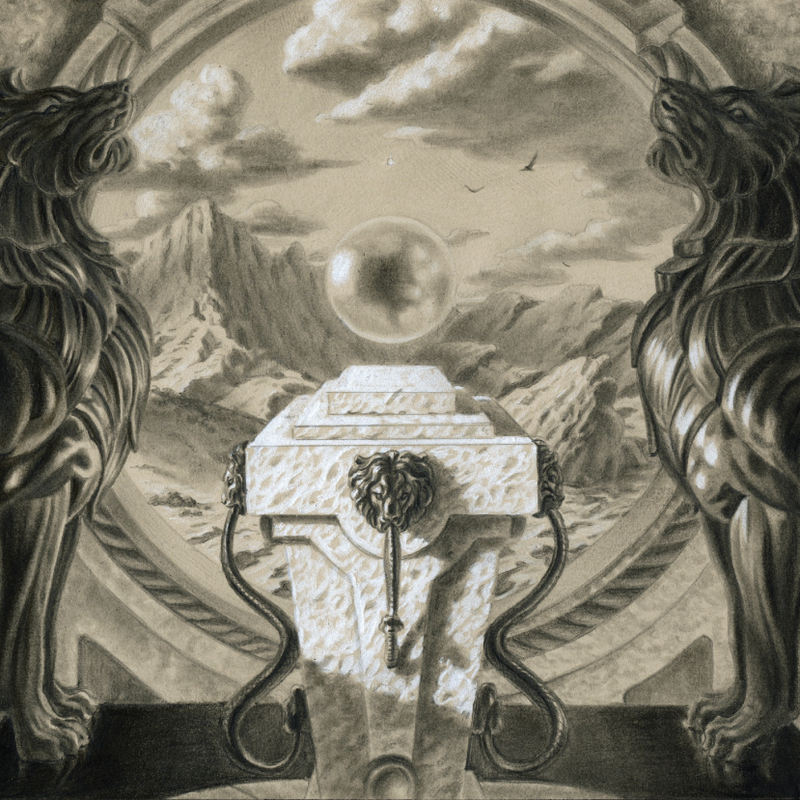 Launched in 2008, Illuxcon was the first juried art show, symposium and gala dedicated solely to imaginative realism. From its humble origins, the event’s goal was to bring together artists, students, collectors and fans for a long weekend celebrating all things in the realm of the fantastic. 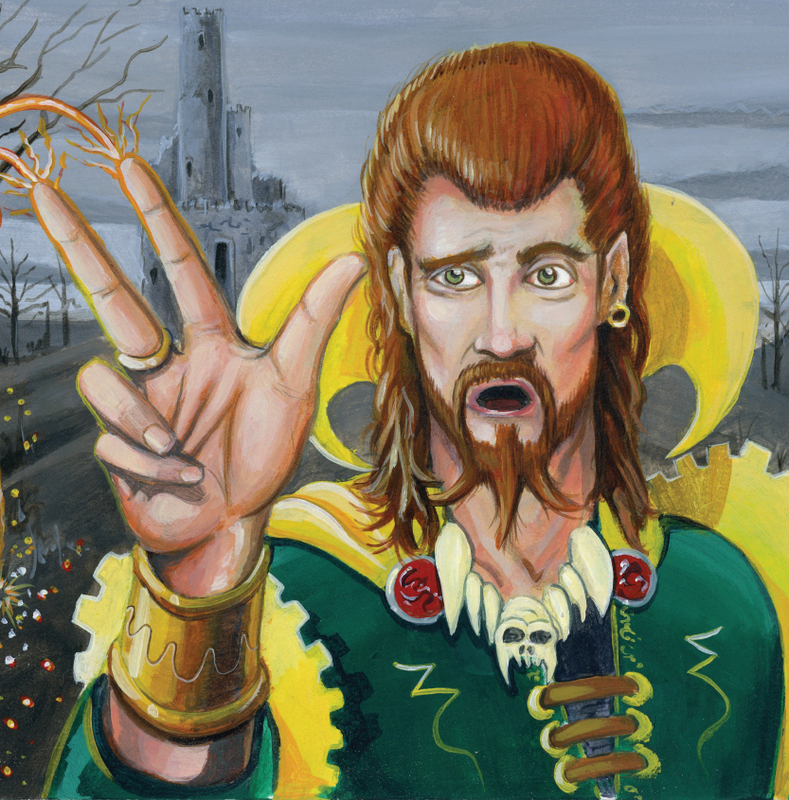 Today, IX isn’t restricted to just illustrators — which accounts for the event’s name change from “Illuxcon” to “IX” — and includes painters, sculptors and artists making everything from Steampunk-style cameos to movie props to metal masks. 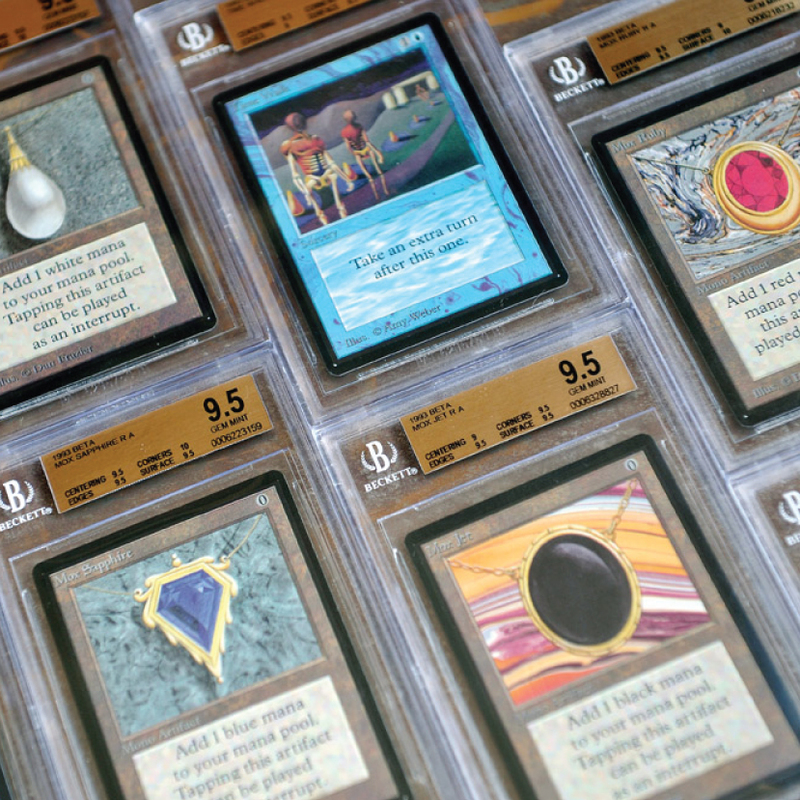 As sound fills the gallery space at the Allentown Art Museum, collectors move from booth to booth, aspiring artists get their portfolios critiqued by masters of the craft, and sci-fi and fantasy fans fill their heads with more stories than can be told in a lifetime. After checking out the main show, Drew and I get dinner with an unexpected guest — fellow original Magic artist Richard Thomas. 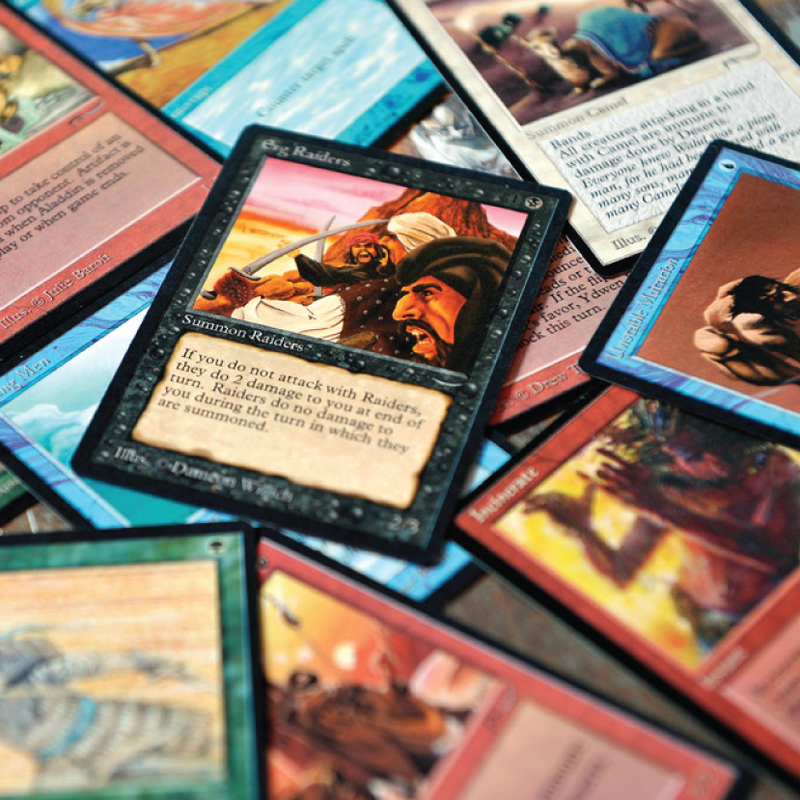 Rich and Drew are old friends, and the two share stories about the early days of Wizards of the Coast. Rich confesses that he would often call Drew whenever he was stressed about deadlines, especially when he was taking on too much work as an up-and-coming artist trying to build his career. At the evening Showcase, Drew sets up his table and gets to work greeting fans and signing cards. 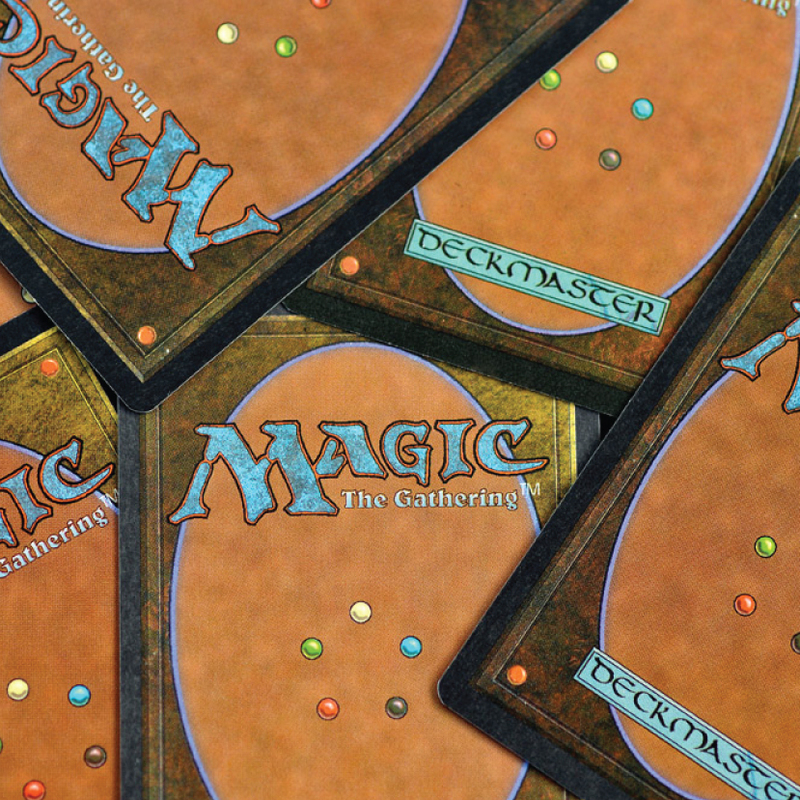 He’s currently sponsored by Vintage Magic and has a number of unique wares for sale: limited-edition, numbered playmats featuring new versions of Dandan and City in a Bottle; even more limited reproductions of several original card arts; artist proofs; and, of course, plenty of original pieces that range from fanciful to psychologically dark. 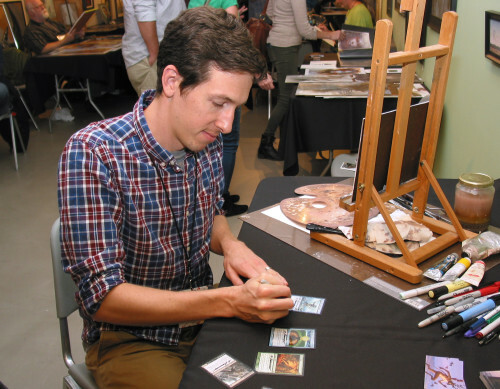 As evidence of Magic: The Gathering’s global reach, Drew even signs a number of cards and books for several fans who came all the way from Spain to meet the artists at IX. It’s with great excitement that the Weekend Salon opens on the second day that we’re at IX. The Salon features even more speculative realist stars, anchored by Rebecca Guay, whose art was featured on the banner for this year’s event. 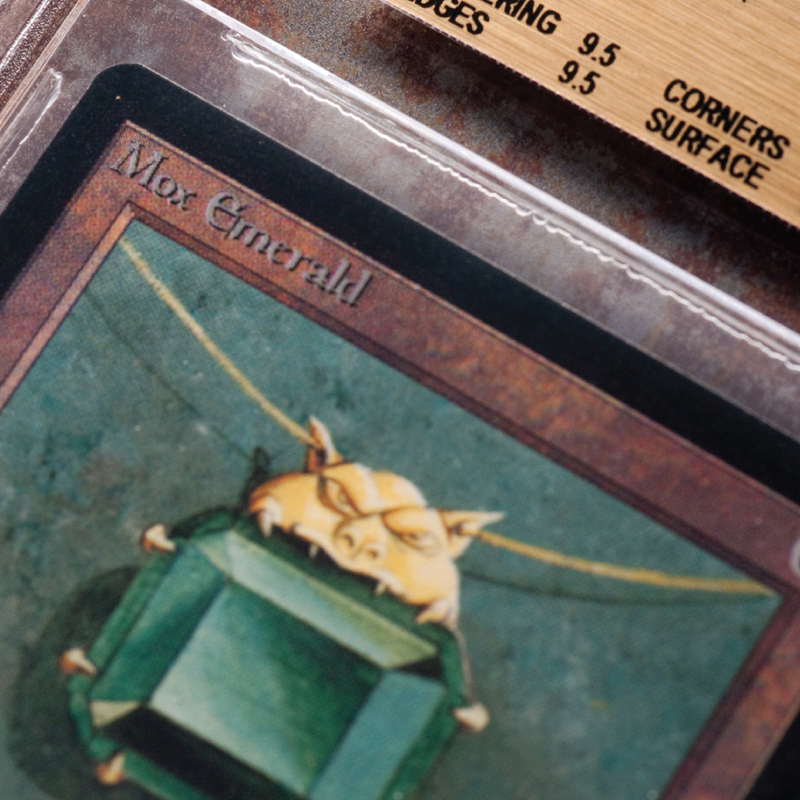 Before we can take in the sights, though, Vintage Magic is host to a special event: a conversation with Drew and fellow original Magic artist Mark Poole. Over the course of almost two hours, Drew and Mark share stories about their careers and offer advice to artists in the audience. Daniel Chang (center), founder and CEO of VintageMagic.com, holds the original artwork for the Magic: The Gathering card People of the Woods during a presentation with original Magic artists Mark Poole (left) and Drew Tucker at IX8. Tucker, holding the original artwork for Night Soil, painted both pieces. 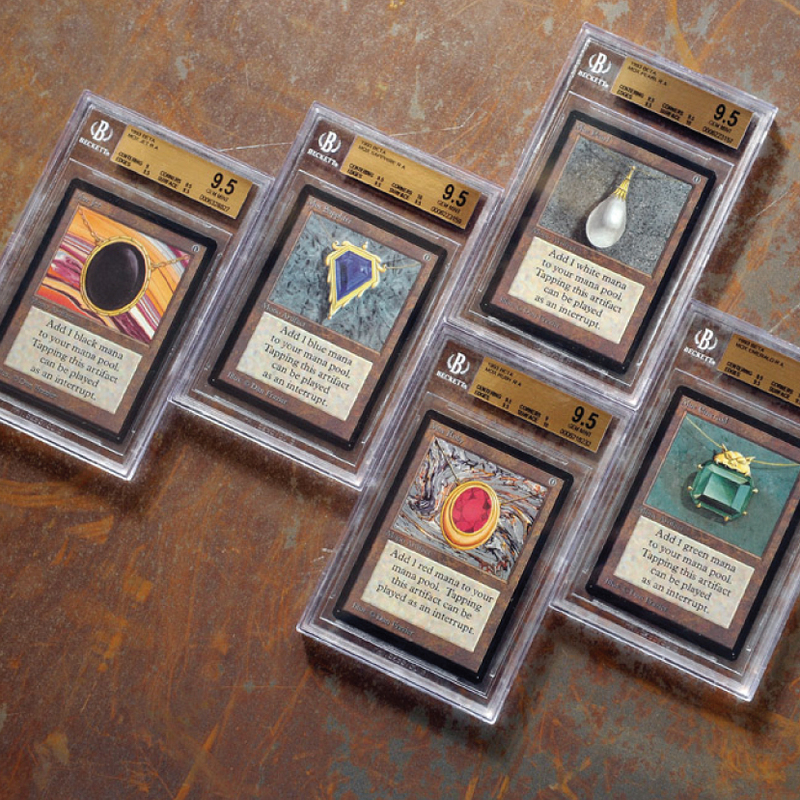 “In the early days, [Wizards of the Coast] would read down a list, and you would pick the ones that sounded interesting to you,” says Mark, who adds, with a chuckle, that he often took as much work as he could get in those early days to support his family. Mark goes on to explain that prior to Magic, he was doing a fair amount of highly detailed nature work. To switch gears and do images that were only about two inches long was quite the transition, and he was at first disappointed that he had to sacrifice the level of detail that he was used to producing. 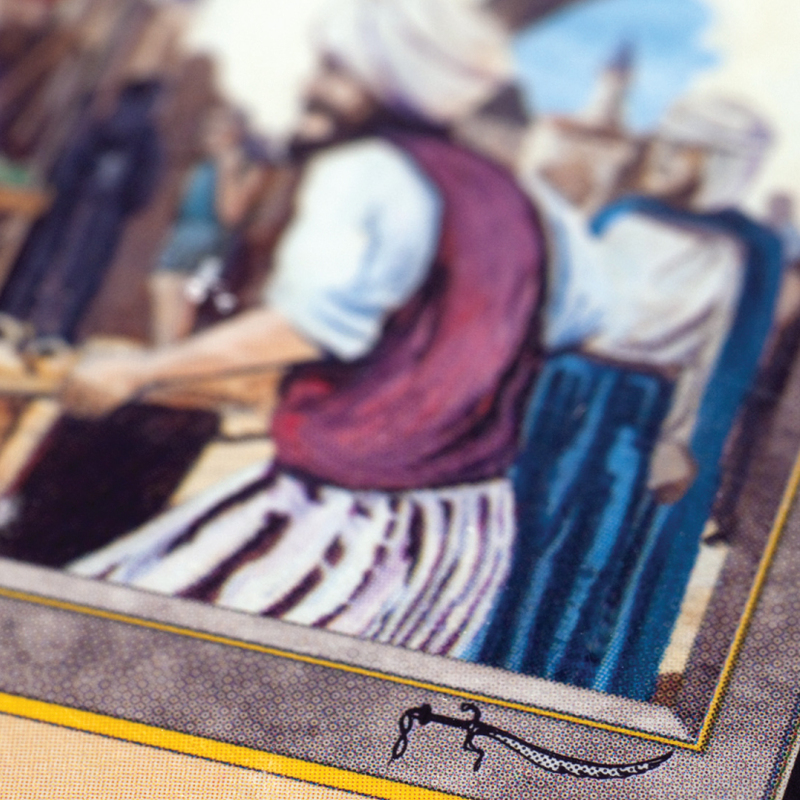 In the years since, however, he’s come to appreciate the work that he did as one of the game’s original illustrators. The conversation then turns to practical advice. Drew encourages the artists in the audience to find moments of clarity, moments that speak to them. He also explains the difference between personal work and working for a client. “If you’re working, you have to give your client what they want, what they’re used to. If you want to invent the world, don’t look — do your own thing,” Drew says. Saturday brings even bigger crowds to both the Showcase and the Weekend Salon. Ryan Almodovar is there from the Pennsylvania Academy of Fine Arts to take in the sights after he and his fellow students started an illustration club at the start of the academic year. Boris Vallejo speaks to attendees at IX8 in Allentown, Pa. Likewise, artist Olga Andreyeva is at IX to network and seek inspiration. Based out of Brooklyn, Olga is the creator of a webcomic multimedia project called Xantara. Magic: The Gathering artist Ryan Pancoast signs a row of cards at IX8 in Allentown, Pa. Indeed, among all of the artists I speak to, one thing is constant: They are genuinely happy to be there. Unlike the stress of, say, a Magic Grand Prix or even a gallery show, IX gives members of the art community — many of whom are close friends — the chance to bridge the physical distances that separate them, an opportunity to come together, talk shop and celebrate. 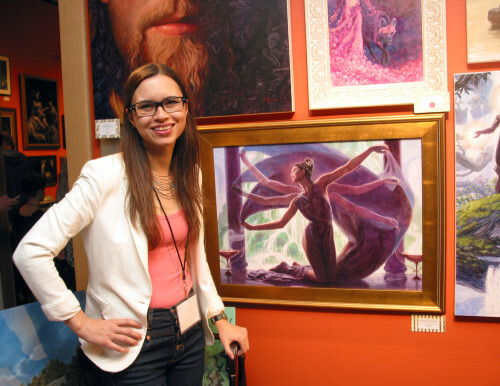 Winona Nelson stands with her original painting for Prophet of Kruphix from the Magic: The Gathering set Theros during IX8 in Allentown, Pa.
As IX enters its final day, an influx of students seems to join the other guests at the show. 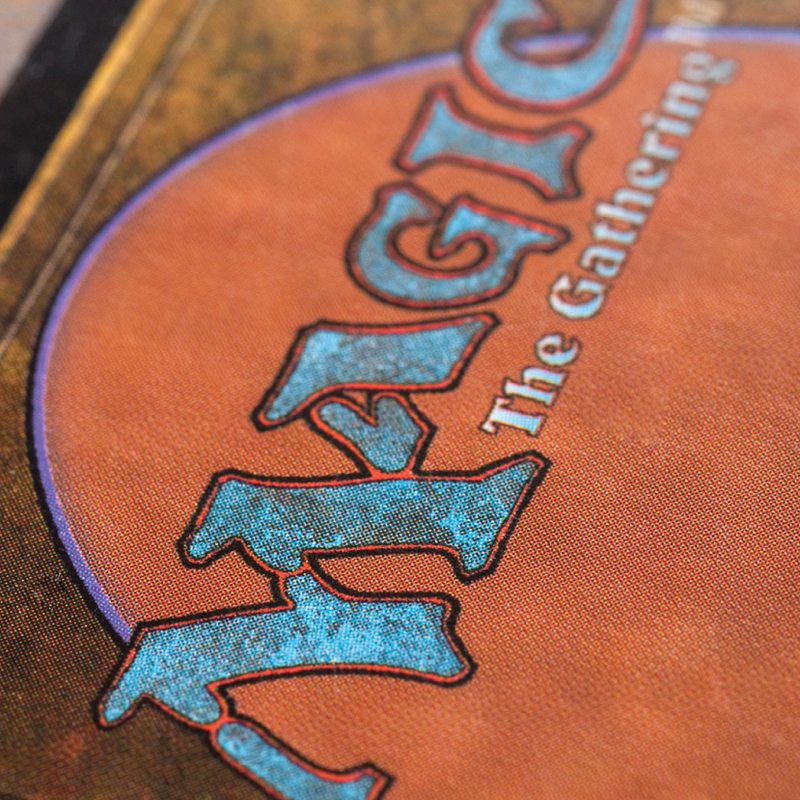 Although portfolio interviews have been happening all weekend, there is another reason for excitement: the drawing for Vintage Magic’s inaugural scholarship to The IMC. Attendees at IX8 in Allentown, Pa., fill out entry cards for a chance to win a full scholarship to the 2016 session of The IMC in Amherst, Mass. 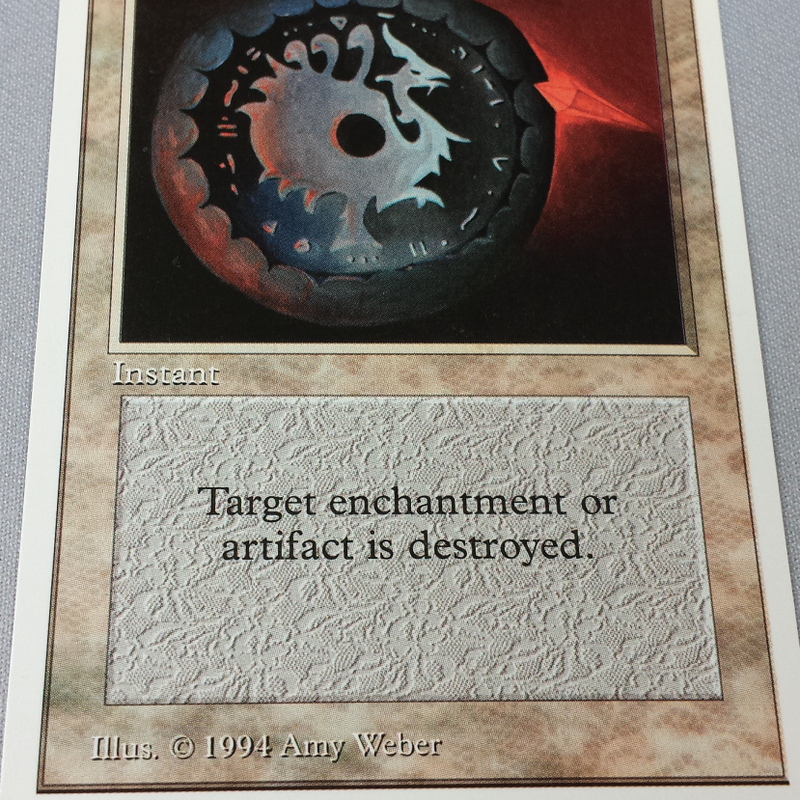 VintageMagic.com sponsored the scholarship, which was presented on the last day of IX. 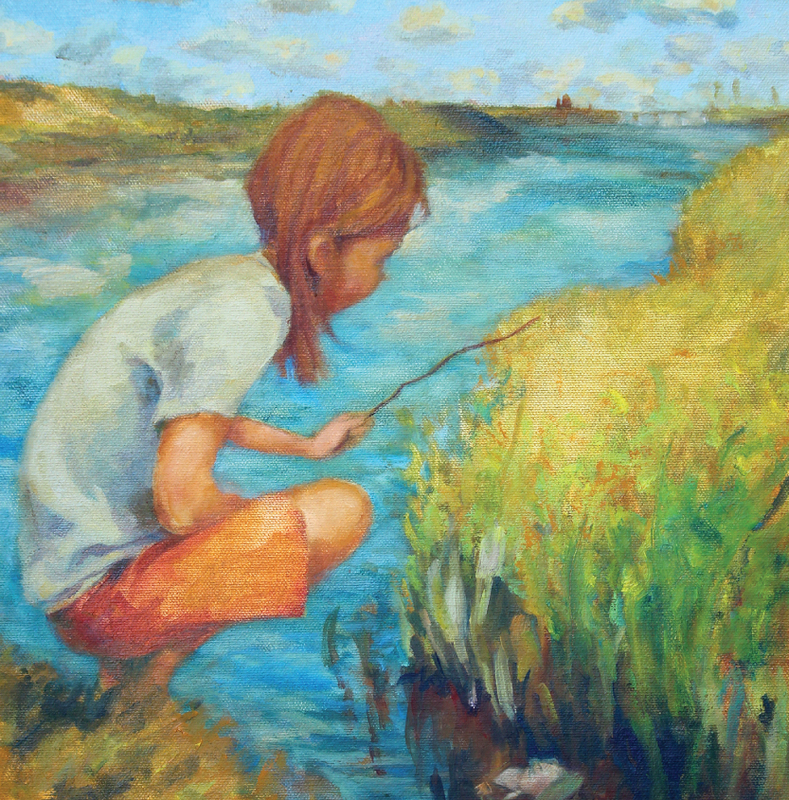 Launched in 2008 by artist Rebecca Guay, The IMC is an intensive program that allows burgeoning artists and young professionals working in a variety of disciplines to hone their skills, work with masters from several fields, and have their art overseen and critiqued in a peer-review setting, while at the same time being able to ask about and learn vital business practices and make powerful industry connections. Prior to the scholarship presentation, Daniel Chang, who is the founder and CEO of Vintage Magic, explains to me why he is so excited to inaugurate the scholarship program. 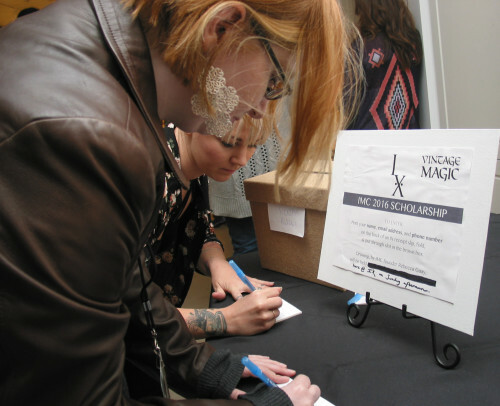 IX8 attendees cross their fingers while waiting for the winning name to be drawn for a full scholarship to the 2016 session of The IMC in Amherst, Mass. 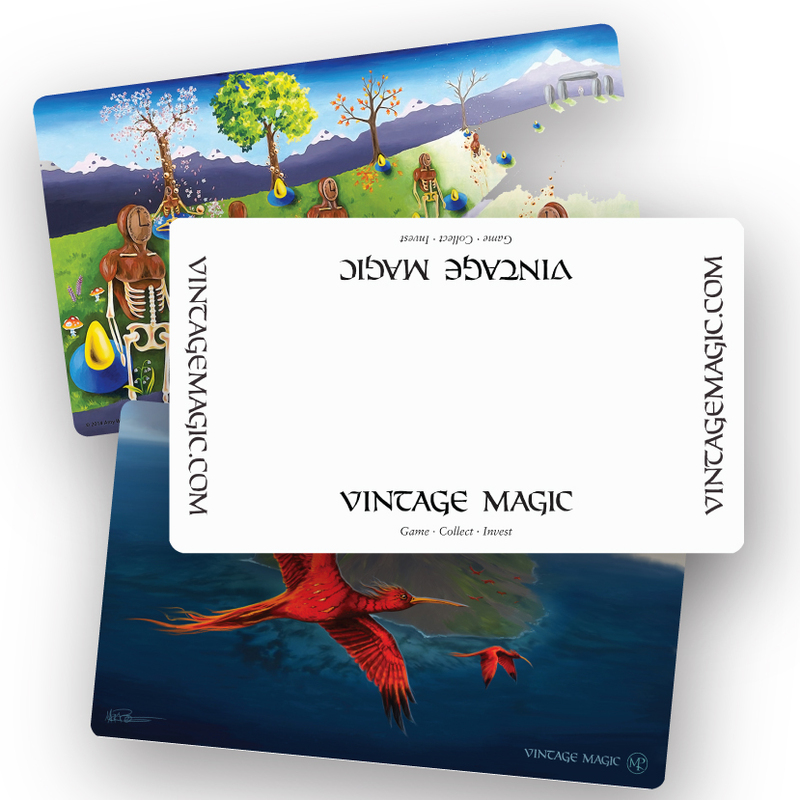 VintageMagic.com sponsored the inaugural award. As the time for the raffle draws near, the registration area fills with students all looking for their golden ticket. Patrick Wilshire and Rebecca both offer remarks before the box of entrants is raised above Rebecca’s head. As if to draw out the suspense for as long as possible, Rebecca struggles to find a slip that isn’t stuck to the others. She finally does so, and Alex Ing learns that he has just qualified for the opportunity of a lifetime. Excited almost beyond words, Alex tells me later that he can barely put his thoughts into complete sentences. He’s originally from Burnaby, British Columbia, and works as a freelance render wrangler. He’s studied 3-D modeling and animation, and has been trying to teach himself digital painting for the past three years. His dream job is to do work for Blizzard, Riot Games, Magic: The Gathering, and Dungeons & Dragons. 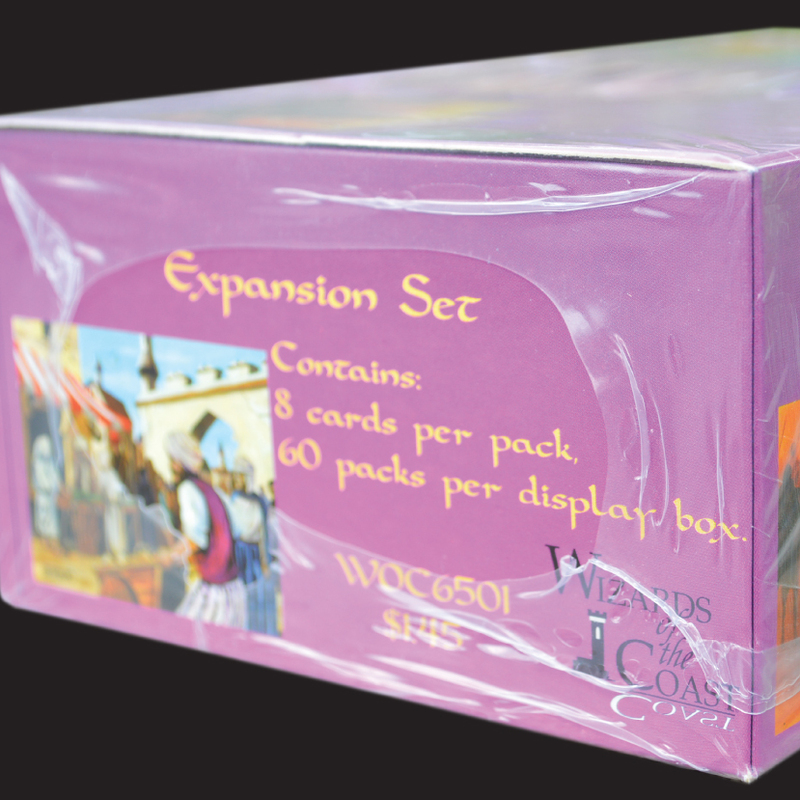 Alex will be attending group one of The IMC in 2016, focused on gaming, card art and books covers, all with digital instruction. 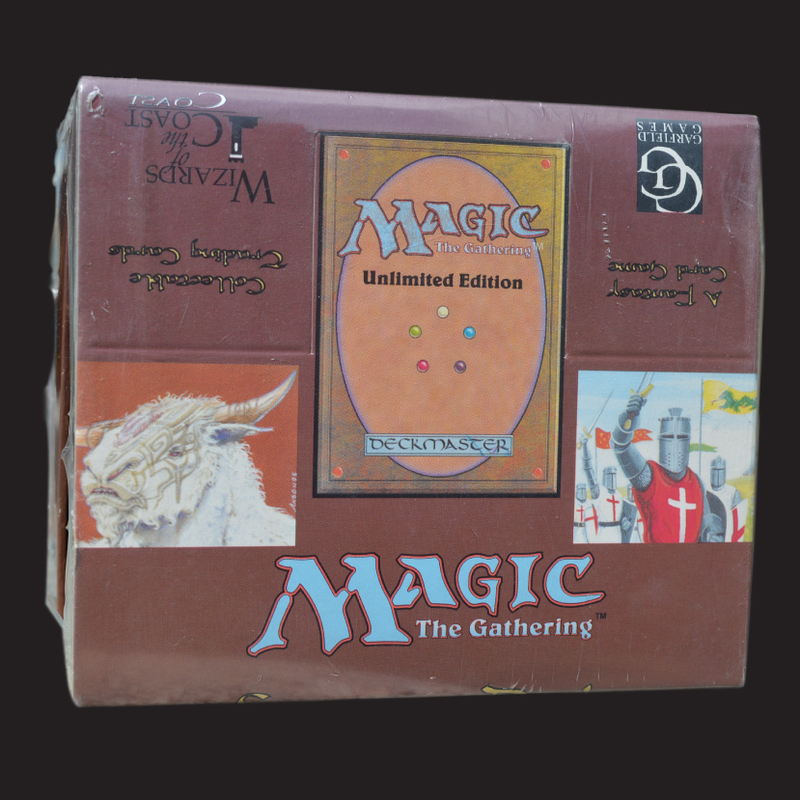 Check out the video announcement on the Vintage Magic You Tube Channel. By now, things in the main show are starting to wind down. Final sales are being made, and more and more artists have blank spots on the wall where their paintings once hung. From Allentown, the artworks will crisscross the country and even the Atlantic Ocean as they travel to their new homes. Conceived in the minds of remarkably creative parents, these children of watercolor and oil are ready to enter the world. For Drew, Daniel and I our time together is also growing short. Drew has a 13-hour drive back to Illinois to look forward to (or dread), and Daniel and I have to head back to our homes in Washington and Connecticut, respectively. 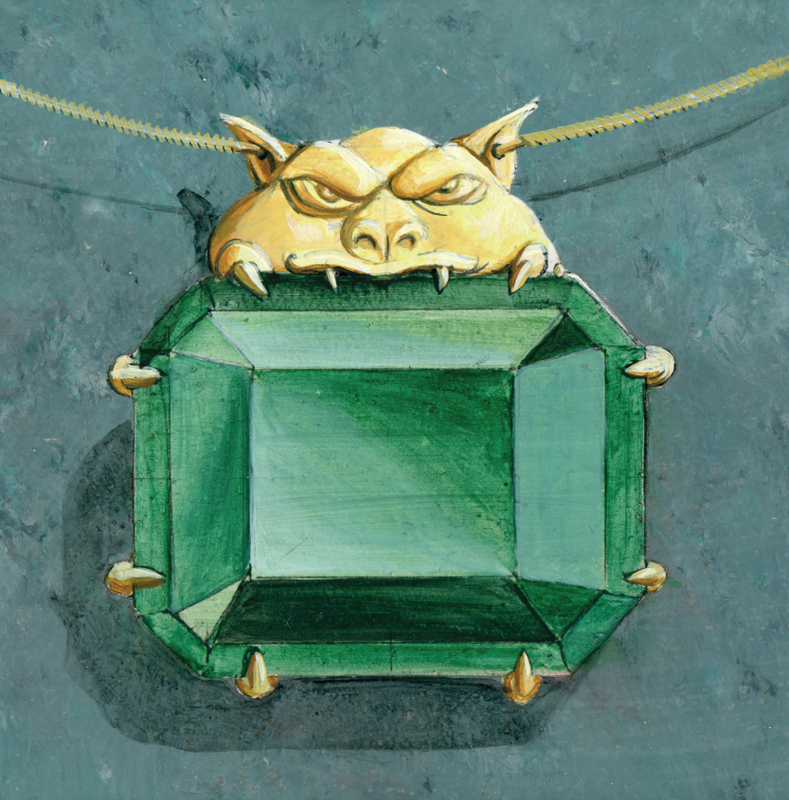 We all know it will be difficult to leave the world of snarling dragons, unexplored ruins and mischievous creatures from the world of fairy. But the real world beckons, anchored by a good-bye hug from Drew. As we part ways, I decide I can leave the realm of imagination for a little while; after all, many of my dreams were made real at IX. For more of the pictures of the art, artist, collectors and staff of IX, please visit here.